Anti Gravity SystemTM (AGS) technology was inspired by ancient Chinese water bucket carrying method ,"Bian Dan", where water filled buckets are loaded on both ends of a carrying rod. The mechanism of "Bian Dan" helps alleviate the feeling of heaviness of the water buckets. With the aspiration to make a positive impact in this world, FX Creations dedicated its design team to create bags that could ease user's carrying burdens. FX Creations will continuously innovate to solve daily problems bag users are faced with and to meet desires. Guangzhou Sport University released a test result on the patented technology Anti Gravity SystemTM (AGS) in 2016. 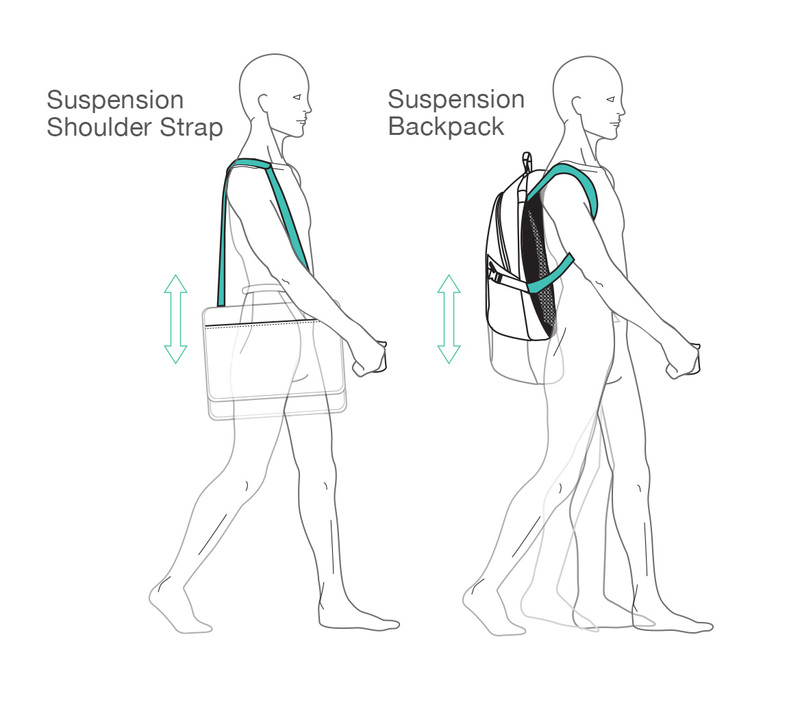 The AGS patented technology is similar to a suspension system integrated into a backpack. In response to the motions that are generated, this design is slightly springy. The test indicated that AGS technology resulted in a slower rate of cervical back muscle fatigue, quicker muscle recovery, better stability and improved posture when compared to a traditional backpack without AGS technology. The reason for this is because AGS backpack is able to actively compensate dynamic load. Biomechanical and physiological measurements were taken from 12 subjects (19 +/- 1.8 years old) who did no strenuous exercise two days prior to the test and are in healthy conditions (no acute or chronic illness). Two trials were conducted two days apart from each other. One was the control group where the participants wore a backpack with no AGS technology. The second group was the test group where the participants wore a backpack with AGS technology. For each trial, the participants carried the same amount of weight (8-10% of their body weight) and walked on a treadmill at 4.5km/h for 30 minutes. The sEMG measurement of the neck extensor, trapezius muscle, latissimus dorsi, and erector spinae muscle were taken along with gait and kinematics analysis. Equipment used were: Vicon three-dimensional motion capture and analysis system (Vantage5), German Kistler three-dimensional dynamometer system (Kistler 9281 ca), German Zebras 6m plate type sole pressure test system (zebras FDM system) and 8-channel electromyography (MEGA6000 for sEMG).